Montgomery has been awarded a residency this coming Novemeber 2018, Irelands first residency programme specifically catering for parenting artists. In Autumn of 2018 The Mothership Project in collaboration with Cow House Studios will present ‘Satellite’, a residency programme designed specifically for parenting artists in Ireland. As part of this work The Mothership Project will conduct research into the experience of parenting artists in Ireland that will be used to produce a publication that highlights the needs of parenting artists in Ireland. Debbie Godsell, James L. Hayes, Susan Montgomery, Danny Osbourne, Laura Perrem and Luke Sisk. SITE includes artists who are interested in exploring space, place and mapping as a means to express their relationship to a particular environment. The exhibition merges ideas of the interior and exterior and aims to connect the viewer with a more personal sense of environment through the artists works. SITE alludes to the idea of stopping, of situating oneself, of creating place from space. In doing so the artists have produced insight through their own experience which in turn informs the viewer. The viewer is invited to experience these environments and take note of the interior or exterior subjects to which the artist has brought to attention in these works. Debbie Godsell presents prints from her new series exploring her relationship to her locale of Macroom, Co. Cork. Debbie re visits sites and is heavily influenced by the folklore and myth of the area. Debbie works both her emotional experiences of the landscape and research into this new and ambitious series. James L. Hayes will feature some of his bronze sculptures. Casts of his fathers asparagus encapsulate James' idea of home, of persistence, of seasonality and our innate yearning to "tend to". Painter Susan Montgomery shows new works from her studio at Rathbarry Co. Cork. In this work Susan examines the space between interior and exterior and fuses painterly abstraction with literal titles. Danny Osbourne shows paintings made in-situ in Ellesmere Is, in the Canadian High-Arctic. 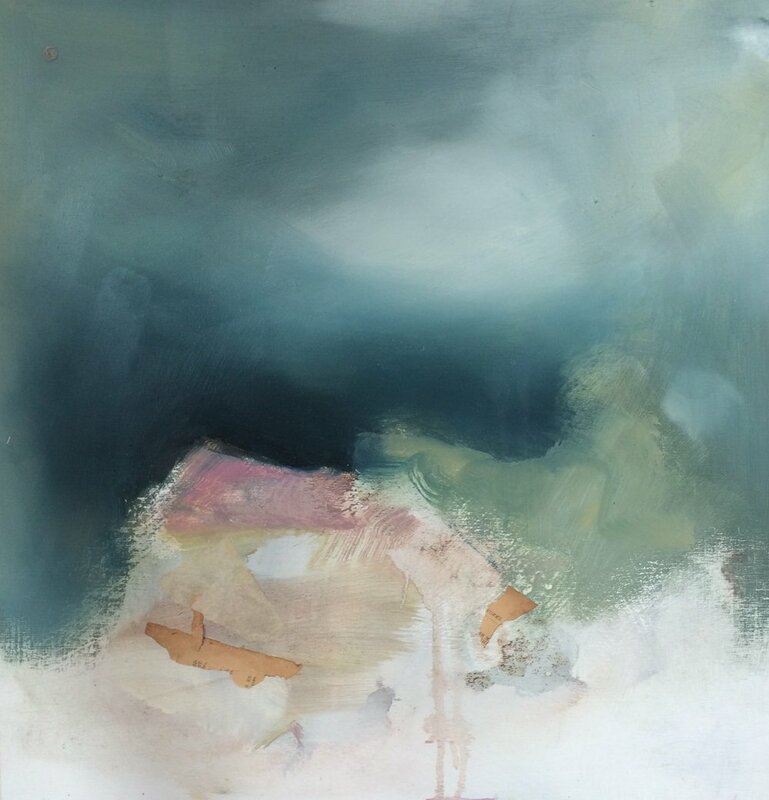 Danny's glacier paintings are oil on canvas and emit the artists close connection with this place through both their creation at Ellesmere Is, but also through the depiction of the particular site located on the canvas. Danny's paintings elude to his occupation with creating site specific work in the most challenging of environments. Danny's work which spans a multitude of media has the ability to bring the viewer into close proximity with such environments. Laura Perrem shows new work of drawings and watercolour which depict her journey "West" from inner City Cork. Laura's work for SITE looks at the phenomenal relationships we can develop with particular "markers" during repeat journeys. Luke Sisk exhibits a series of ceramic work that have come from the journey of the River Lee. The river has many social, economic and now political significance's that Luke engages with in this work. Luke's work solidifies and in a way makes monumental places that bare some personal significance. July 12 to August 6, 2018 at the O’Driscoll Bldg near the river in the centre of town. This flagship exhibition for the Skibbereen Arts Festival features paintings by 30 artists that celebrate West Cork’s glorious landscape. For more than fifty years, West Cork has drawn artists to its richly varied landscapes, and many of the show’s artists live and work here. While they work in different styles and media, their work reflects West Cork’s varied topography, flora and fauna, weather and other elements. Participating are Katherine Boucher Beug, Mary Canty, Donagh Carey, William Crozier, Jill Dennis, Angela Fewer, Tim Goulding, Carol Hodder, Ian Humphries, John Kelly, Helena Korpela, Siobhan McDonald, Michael McSwiney, Frieda Meaney, Susan Montgomery, Janet Murran, Coilín Murray, Anastasia O’Donoghue Healy, Danny Osborne, Ginny Pavry, Fiona Power, Paul Ringrose, Frances Ryan, Terry Searle, Angie Shanahan, John Simpson, Jacqueline Stanley, Donald Teskey, Christine Thery, and Catherine Weld. The exhibition is curated by Catherine Hammond. ELEMENTS runs until Monday, August 6th. The exhibition is open Monday – Friday 11 – 5 and on Saturdays and Sundays from 11:00 to 4. Work from the show is available below, with more coming leading up to the show. Clicking on an image will enlarge it and provide information about media, size, date and price. Susan Montgomery is a visual artist from Wicklow. She has lived in West Cork since 2007 and in Castlefreke since 2009. Susan's work is influenced by landscape. Her practice is process based, encompassing the mediums of painting, drawing, installation and assemblage. It often involves the manipulation of found surfaces and objects, centered on the behaviour of chance marks, stains and arrangements. The results are works that describe a dialogue between the carefully chosen elements she uses to explore these processes, which in turn express her concerns with the human experience, time and their relationship with the landscape. Susan's work for this current exhibition (Siar/West) is an observation. An observation of the everyday occurrence of certain light that is unique to this locality she inhabits and how this subliminally influences her work. Gerald Butler is Attendant Lighteeper at Galley Head lighthouse. Born in Castletownbere and living in Rathbarry. Butler is a third generation lighthouse Keeper on both maternal and paternal sides. His father Lawrence, entered the service in 1939 and when he was stationed on Eagle Island. In 1945 he met the principal keeper’s daughter, Pauline, his mother. After they married, they came to Galley Head in 1950, but then were stationed elsewhere for a few years, only to return in 1965 with a large family which finally reached 15 in 1972. Butler joined the Commissioners of Irish Lights in 1969. He spent most of his career as an assistant Keeper on Bull Rock, Fastnet Rock, the Old Head of Kinsale and Mizen Head lighthouses. During his 21 years of service he also served on Dún Laoghaire East Pier, Roche's Point, Power Head, Wicklow Head, Tuskar Rock, Hook Point, Ballycotton Island, Skellig Michael, Inishtearaght, Eeragh, Eagle Island, Blackrock Mayo, Arranmore, Fanad Head, Rockabill, Roancarrig and The Bailey lighthouses. Butler is a historian and author of ‘The lightkeeper’ a memoir of his life. This event runs as part of our current exhibition Siar/West. A gathering of works from fifteen artists who are closely connected to the ebbs and flows of glorious West Cork.